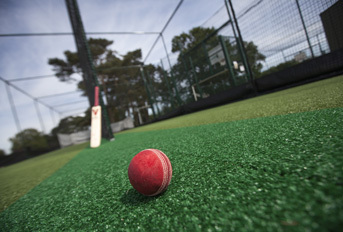 Sports netting is used in a variety of different sports and can have a range of uses – from goals through to the creation of enclosed practice net facilities. In tennis and other racquet sports such as badminton, sports net is use to separate the court into two distinct zones; offering a barrier over which players must hit the ball or shuttlecock. In football, sports net is used as a backstop in the goalmouth to prevent balls flying straight through the goal into the crowd behind. Sports netting is also used in golf practice areas and driving ranges; again to prevent balls travelling outside the practice zone. Depending on the sport and the size of ball used, the construction of the net and size of the holes in the netting will vary – but the general use of sports netting is as a safety measure to contain the ball within a given area. This is also true for cricket, where sports nets are employed in coaching and practice – enabling batsmen and bowlers to practice in confined spaces that would otherwise be unsuitable due to the risk of flying balls endangering surrounding buildings or the general public. 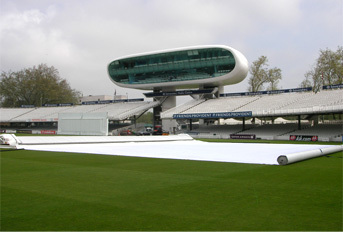 Cricket sports netting can be employed in various ways to the same end, depending on a range of factors – including the location of the desired practice area and the budget available to the club. For many clubs, mobile practice cages offer a versatile solution – a metal framework, usually mounted on wheels, is encased in sports netting to three sides and roof. 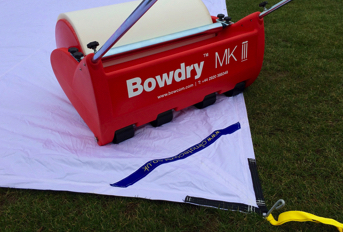 This structure can be moved and placed over an existing wicket and allow batsmen and bowlers to practice without the need for fielders to catch and return the ball. 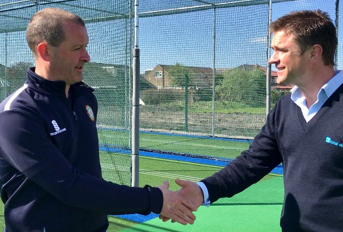 Increasing numbers of clubs are now taking investment in their practice nets facilities a stage further and installing state-of-the-art permanent practice nets built on durable artificial turf surfaces. These facilities traditionally see a tubular steel framework installed to the perimeter of the artificial surface, onto which netting panels are hung. These panels can be put up at the beginning of Spring and then removed again at the close of the season for repair and storage over winter months to help prevent unnecessary deterioration. Another downside of panel netting on cricket facilities is that it leaves gaps between the points where it was attached to the framework; providing a space where fast-moving balls could potentially escape the facility or go into adjacent lane risking damage or injury to other users. 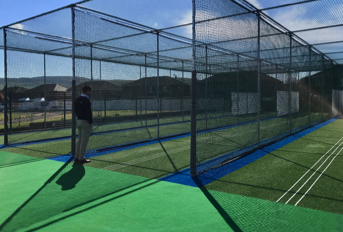 As a leader in the field of designing and installing non-turf cricket practice facilities, total-play Ltd recognised these sports netting limitations and developed a solution. Its HD Protection Tunnel netting, which is recommended in all of its installations, comprises of a ‘tunnel’ of netting which is hung from the framework to provide a cocoon of netting protecting each lane – thus preventing errant balls exiting their lane. The way HD Protection Tunnels are fixed to the framework – secured by 5mm tension wires manufactured integrally within a 90mm PVC sleeve – mean that they don’t necessarily need taking down at the end of the season; making the facility useable year-round should weather conditions allow. That said, if the nets do need to be removed for repair then only take around 10 minutes per lane to remove. 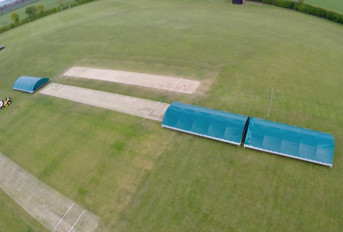 This latest evolution in sports netting is proving a hit with cricket clubs from grassroots to first class, with systems installed and in regular use across the country.